In donors as well as dollars. 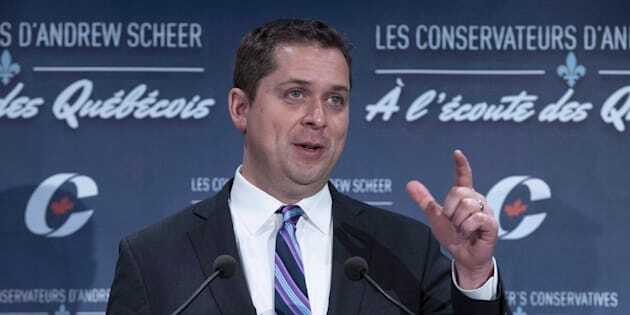 OTTAWA — The federal Conservatives blew past their governing Liberal rivals in last year's annual fundraising race — in donors as well as dollars. Annual financial reports published on the Elections Canada website show the Tories raised $18.84 million from 94,786 contributors in 2017, outflanking the Liberals by nearly $5 million. That's compared with $18.25 million the Conservatives raised from 82,662 donors in 2016. For their part, the Liberals raised $13.89 million from just 64,444 contributors, compared with $17.18 million from 82,285 donors the previous year. However, the Conservative party reported spending $7.18 million on fundraising expenses throughout 2017, while the Liberals spent $2.70 million. A spokesperson for the Liberal party said the number of donors often alternates between the Liberals and the Conservatives. "Those numbers can go up and down regularly over the course of a mandate," Braeden Caley said. "That's certainly been true of this mandate and of last mandate." Caley said that the gap between how much each party spent on fundraising efforts "erases" the Conservative's lead. "We're very encouraged by the party's continued success with grassroots fundraising," he said. The 2017 numbers from the NDP have yet to be posted, but Elections Canada said the party has been granted an extension on Wednesday's deadline. In 2016, the New Democrats raised $5.39 million from 26,754 donors.